WASHINGTON D.C.—House Speaker John Boehner (R-Ohio) announced his resignation early Friday morning. Boehner said he would step down as speaker and resign his senate seat at the end of October. According to one Boehner aide, the decision is a direct result of personal reflection after the Pope excommunicated the representative yesterday. 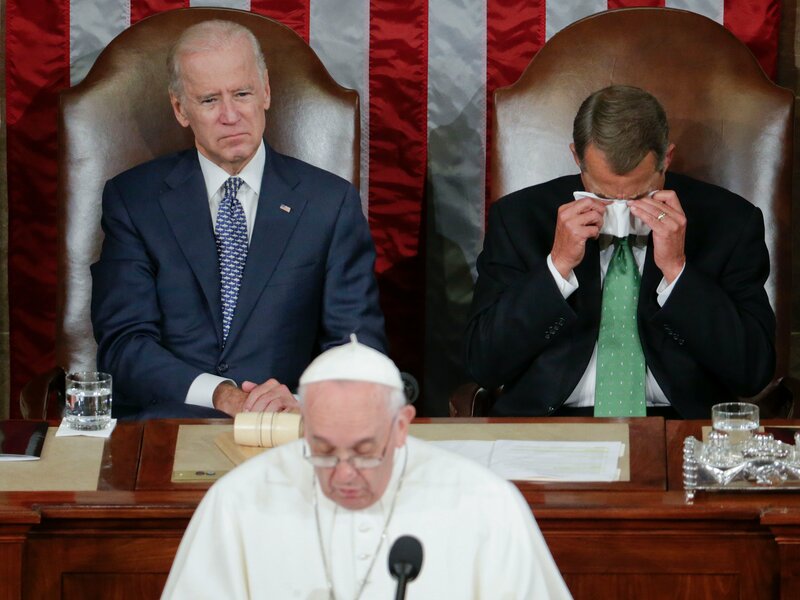 Rep. Boehner weeping after excommunication from the Catholic church.